Natural, masculine and organic in character, our Raw Textured wedding band series breaks the mold of traditional men’s wedding bands. This wedding band series features an imperfect, time-worn surface that adds just a bit of rustic charm to a traditional wedding band. Simple and understated. 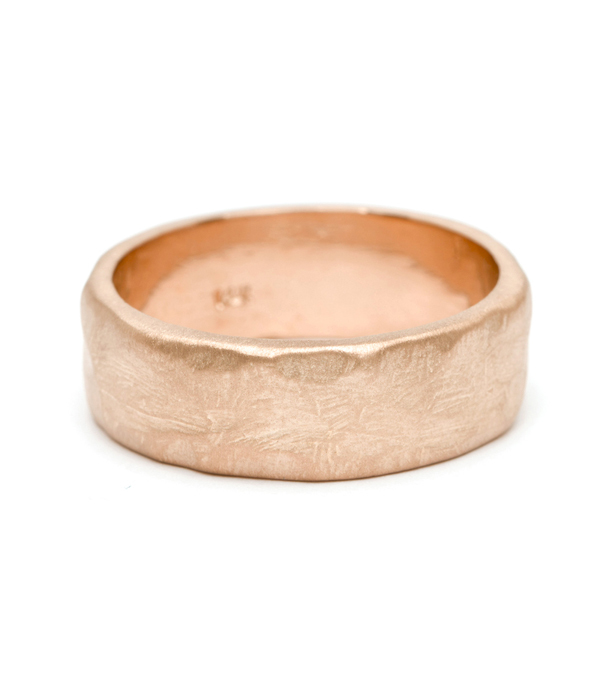 This ring measures approximately 7mm. Also available in 4.5mm and 6mm widths.